Sheridan La Salle Range. This design takes the patterns formed by the many tiny windows in city skyscrapers and transforms it into a beautiful textured matelass weave. 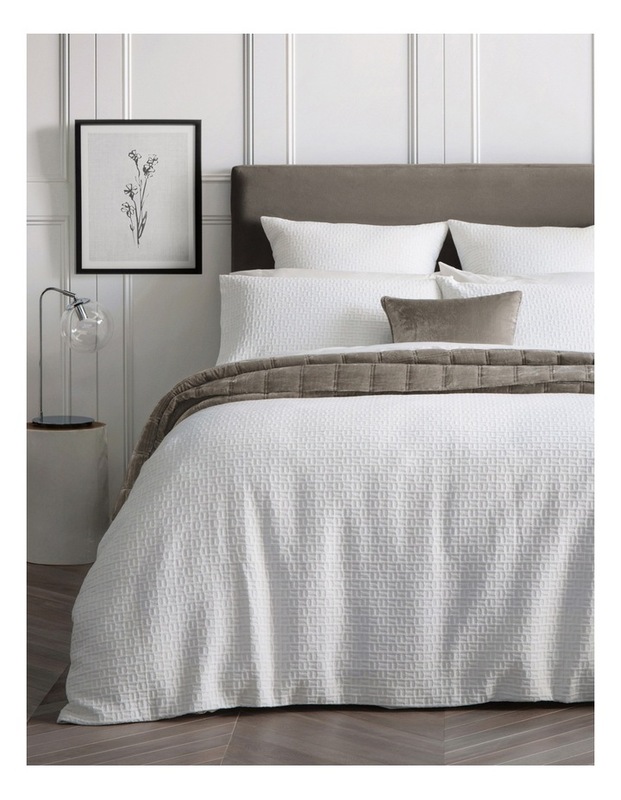 Woven in combed cotton in one of the best mills in Portugal this richly textured design is both modern and timeless in its appeal.